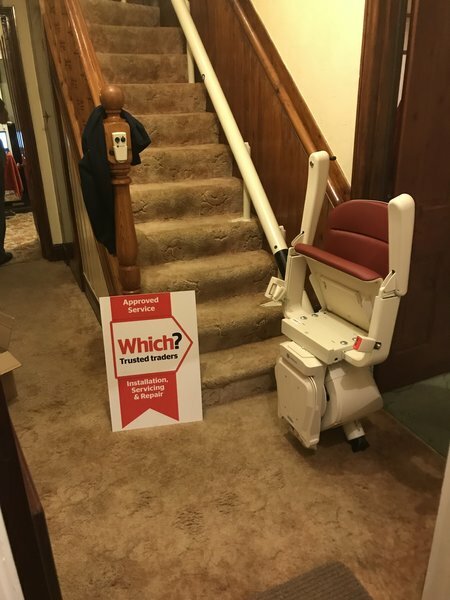 We are very proud of our highly skilled stairlift division. 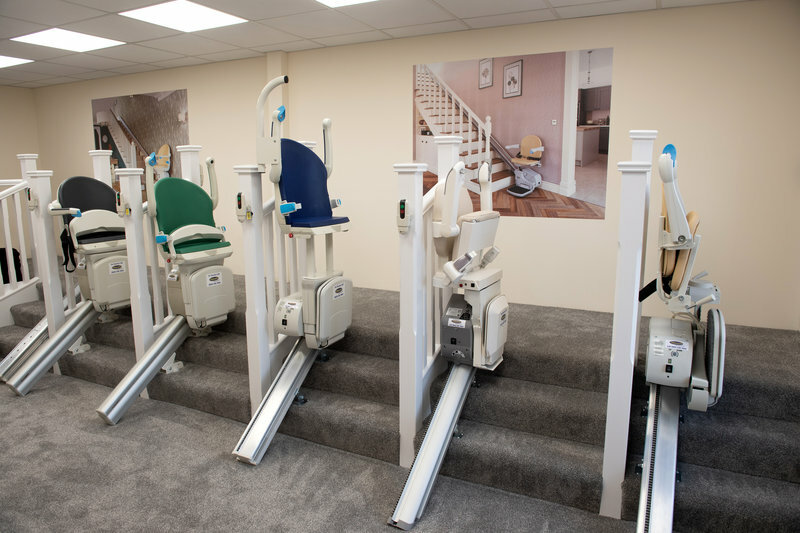 Our "in house" Stairlift Engineers provide a service second to none, and continually undergo training to ensure they understand all elements of our stairlifts. 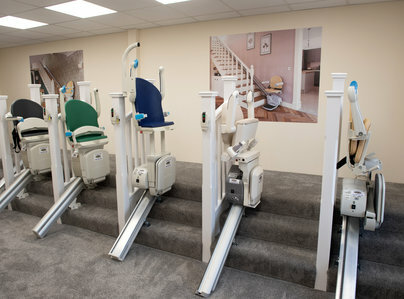 We stock both new and reconditioned stairlifts and also have a wide range of stairlifts that can be rented. 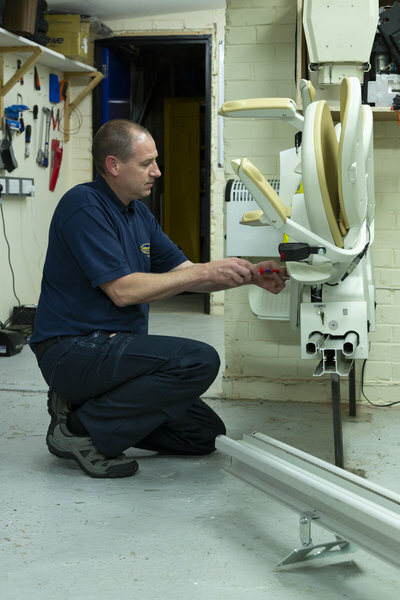 Our engineers will look after you from quote to install and beyond. To request more information or to book a FREE no obligation quote please give us a call on 0800 038 7800 today. 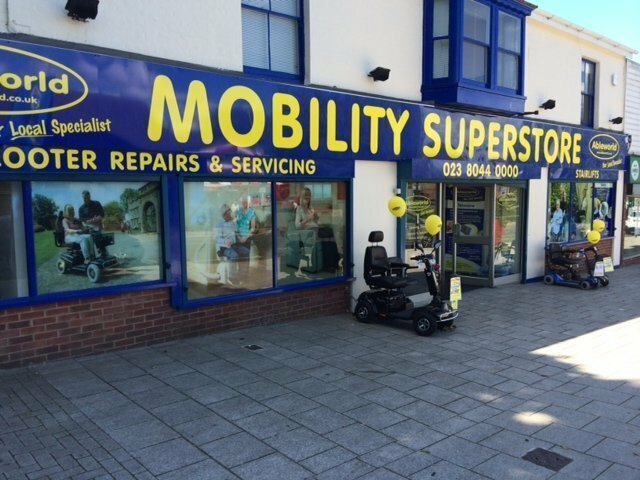 I was very pleased with the servicing of my mobility scooter, they came and collected it and returned it again on completion. I have shopped with this firm a number times and would have no hesitation in recommending them to anyone. Hello, Thank you for leaving us some feedback, we appreciate your kind words. We are glad that we could assist with your scooter service recently, and that you were happy with the work provided. We hope to see you again soon in the near future. Kind Regards. Very happy & welcoming staff - Managed by a manger of quality. Hi Michael, Thanks for leaving us some feedback, we appreciate it! 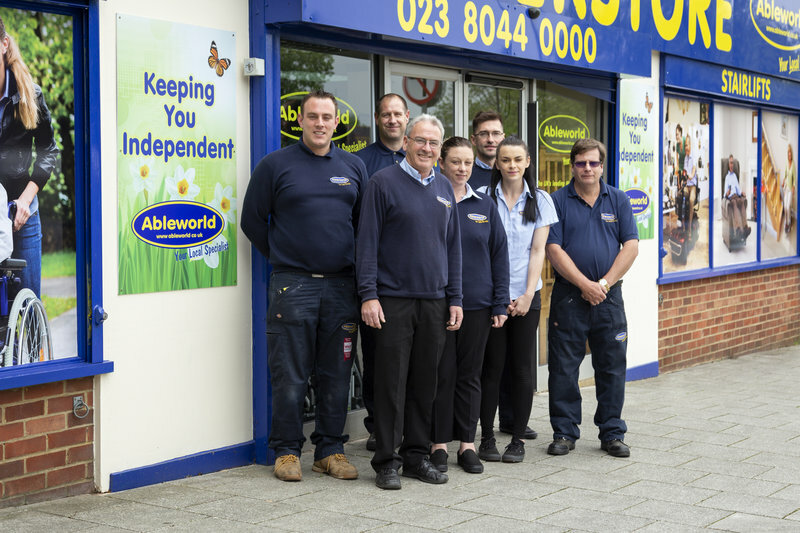 We are pleased that we could assist you in store recently, and that you were happy with our team in store. We look forward to seeing you in store again soon. Kind Regards. I have always used Ableworld, very reliable, lovely shop. 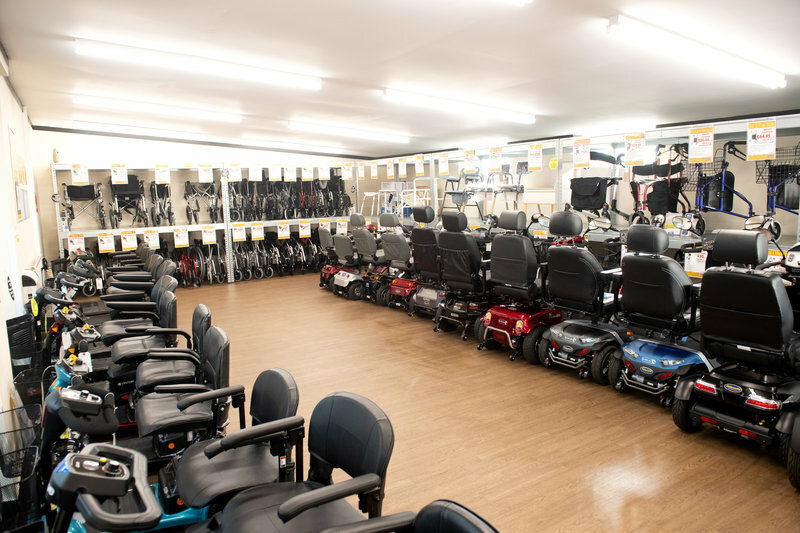 Plenty of stock to choose from, staff always so pleasant and helpful, recent purchase a electric mobility chair. Hello Sandra, Thank you for leaving us some kind words-we appreciate your feedback! 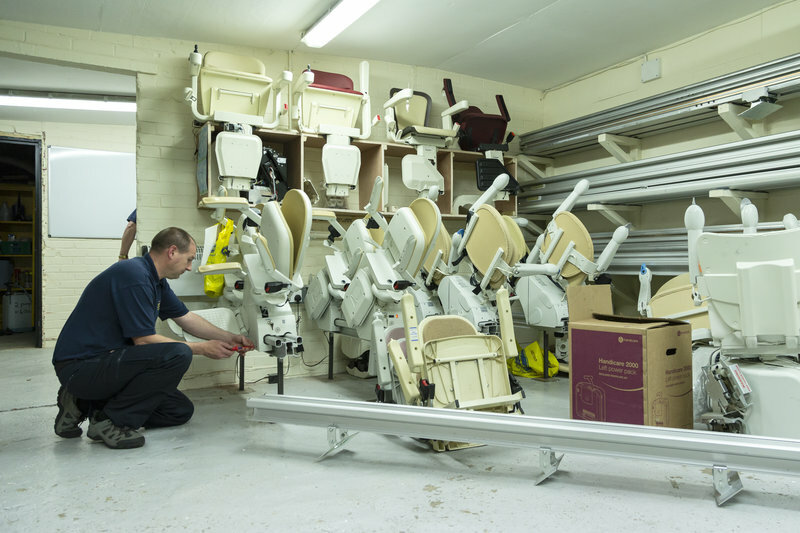 We are glad we could assist with your chair purchase recently, and pleased you were happy with the service provided. We hope to see you again in the near future! Kind Regards. Exchanged a broken part free of charge in a matter of minutes with the usual polite efficiency which we receive each time we visit. Hi Andrew, We appreciate you leaving us some feedback, Thank you! 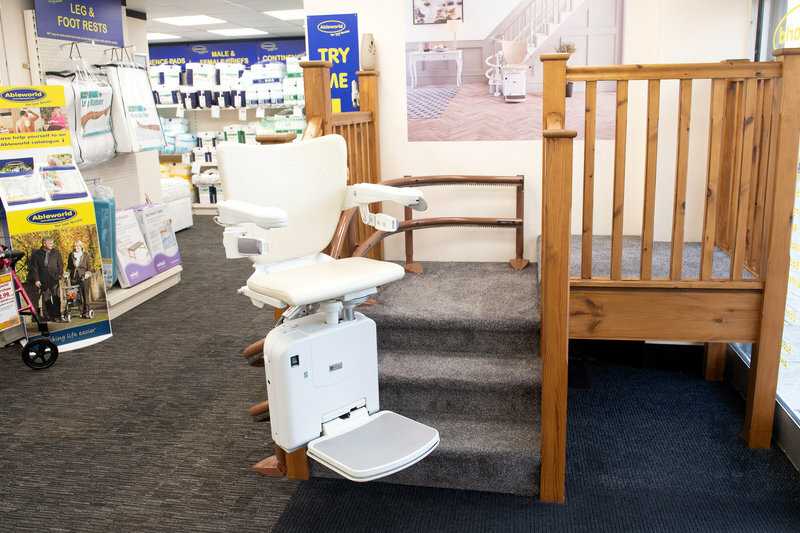 We are pleased that we could help with your broken mobility part recently, and that we could fix it promptly. Kind Regards. When to the store on Saturday 16th to order a bed for my mum who is having single room living when she is discharged from hospital. Whilst I knew the bed mum wanted I knew she wasn't happy on the dark colour, so when I found out it could be done in a lighter colour it was great, then that it could be delivered as early as the Monday made my mum happy and intern one less stress for me. When they arrived the friendless was amazing and much appreciated when things are very tough at the moment. Professional good people who even had me laughing. Due to what is going on in my life I suspect there will be more trip's for items... Thank you so much, now all I need is mum to come home! Hello, Thank you for leaving us some feedback, we appreciate your kind words! 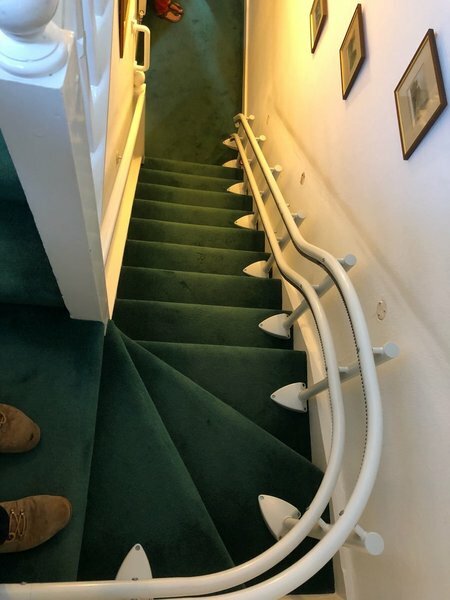 We are pleased we could assist you with your mothers bed purchase recently, and glad that we could get it in a lighter colour and arrange for quick delivery too. We hope your Mother is doing well now, and hope the bed is comfortable for her. Kind Regards. Right on time, very professional. Bought chair, show us how to work the chair, were very helpful and friendly. Arrived on time. Could not fault the service, will use the shop again. Hello Pamela, Thank you for leaving us some feedback, we appreciate your comments. 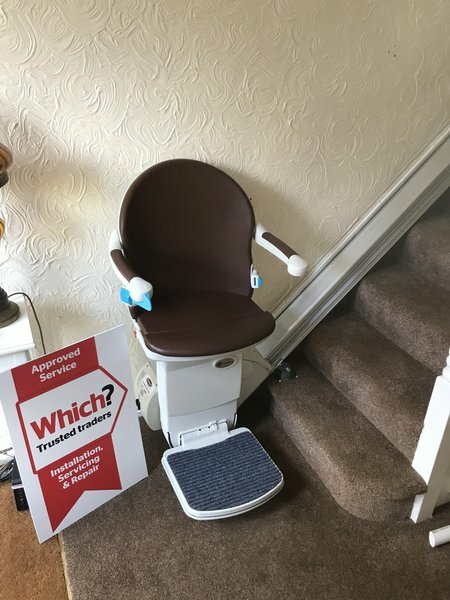 We are glad that we could assist with your chair purchase and delivery recently, and pleased you were happy with the service. We look forward to seeing you in store again in the near future. Kind Regards. Hello, Thanks for leaving us some feedback, we appreciate it! 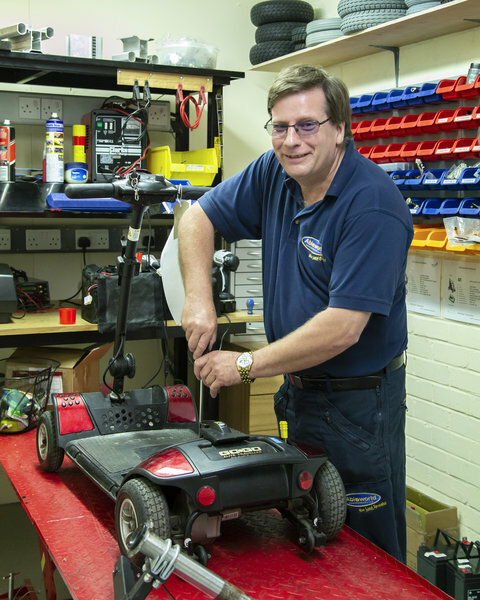 We are pleased we could assist with your scooter service recently, and that you were happy with the service received. Kind Regards. Excellent service as always, on time and very helpful. Hello Sylvia, Thank you for leaving us a review. We are pleased we could help with your service recently. Kind Regards. Very polite, friendly and helpful. Nothing was too much trouble. Hello Christine, Thanks for leaving us some feedback. We are glad that we could assist with your mobility needs recently. Kind Regards.